He may not have had a choice. 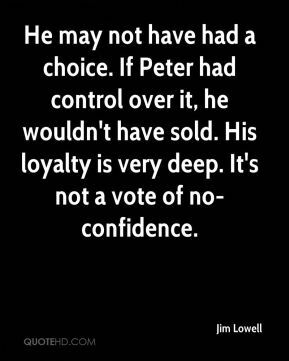 If Peter had control over it, he wouldn't have sold. His loyalty is very deep. It's not a vote of no-confidence. 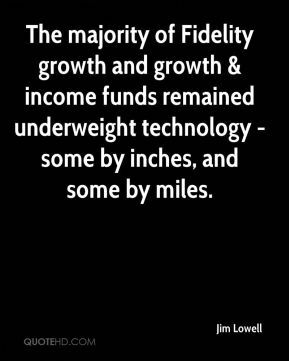 The majority of Fidelity growth and growth & income funds remained underweight technology - some by inches, and some by miles. 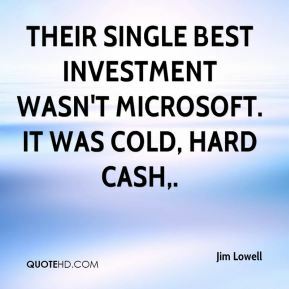 Their single best investment wasn't Microsoft. It was cold, hard cash. 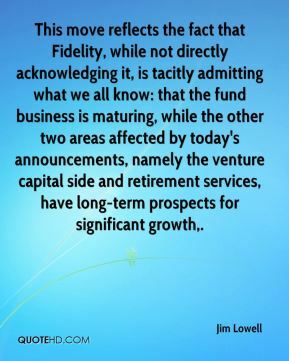 This move reflects the fact that Fidelity, while not directly acknowledging it, is tacitly admitting what we all know: that the fund business is maturing, while the other two areas affected by today's announcements, namely the venture capital side and retirement services, have long-term prospects for significant growth. 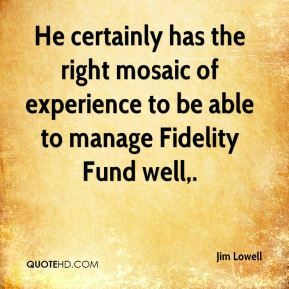 He certainly has the right mosaic of experience to be able to manage Fidelity Fund well. 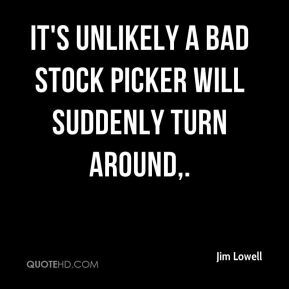 It's unlikely a bad stock picker will suddenly turn around. 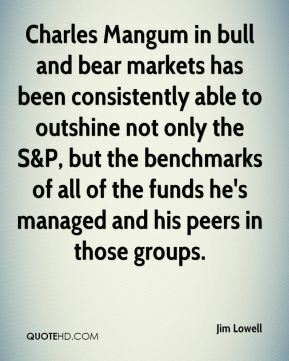 Charles Mangum in bull and bear markets has been consistently able to outshine not only the S&P, but the benchmarks of all of the funds he's managed and his peers in those groups. [Mutual fund investors will share in the pain.] 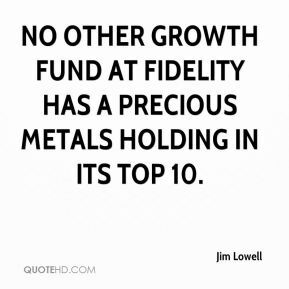 The funds that will probably be hit the hardest are the growth and income funds, ... 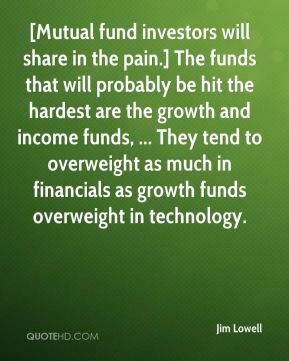 They tend to overweight as much in financials as growth funds overweight in technology. 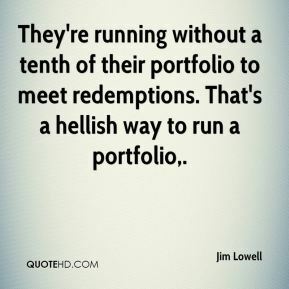 They're running without a tenth of their portfolio to meet redemptions. That's a hellish way to run a portfolio. The funds that will probably be hit the hardest are the growth and income funds. 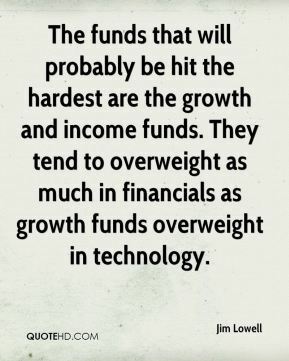 They tend to overweight as much in financials as growth funds overweight in technology. You can't use that to mask the real potential weakness in what used to be - or arguably still is - their core business. There's no question they've been moving against the tide with Magellan's woeful performance. 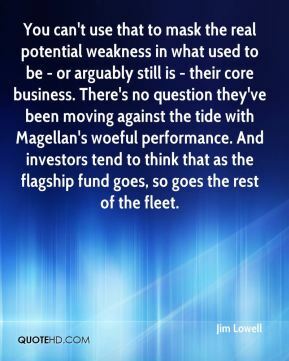 And investors tend to think that as the flagship fund goes, so goes the rest of the fleet. 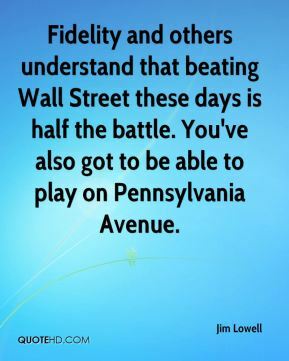 Fidelity and others understand that beating Wall Street these days is half the battle. You've also got to be able to play on Pennsylvania Avenue. Who's going to manage (health savings accounts)?. 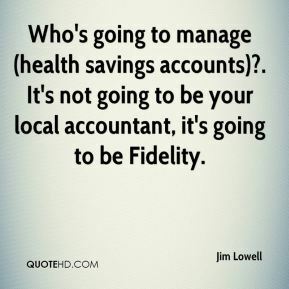 It's not going to be your local accountant, it's going to be Fidelity. It's like a flashlight on a life raft in the middle of the Atlantic -- good luck finding it. 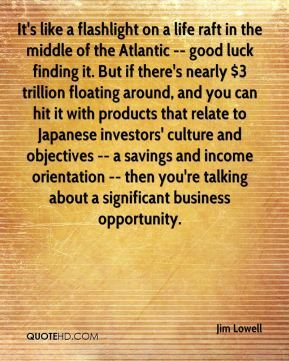 But if there's nearly $3 trillion floating around, and you can hit it with products that relate to Japanese investors' culture and objectives -- a savings and income orientation -- then you're talking about a significant business opportunity.